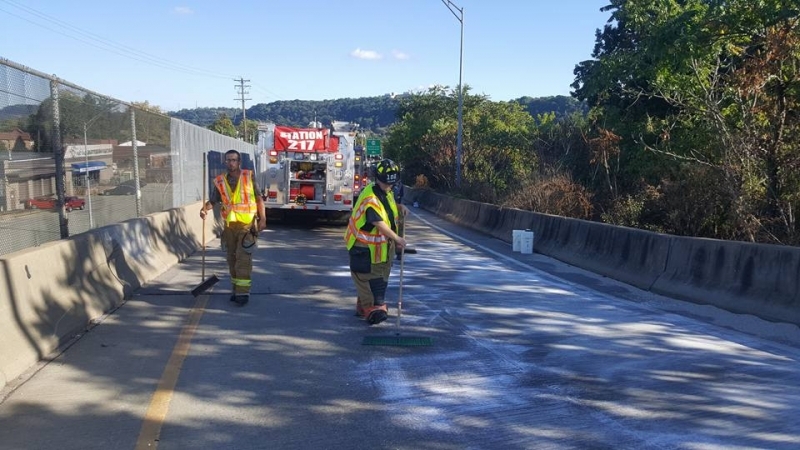 At 16:14, on Saturday, September 24, 2016, Allegheny County Communications dispatched Pleasant Valley (Sta 217), Parkview (Sta 218), and Aspinwall (Sta 102) to investigate a possible spill on the Highland Park Bridge (outbound) at the Aspinwall Exit. 102 Engine arrived on scene and advised all units that they will have to come in by way of the city. 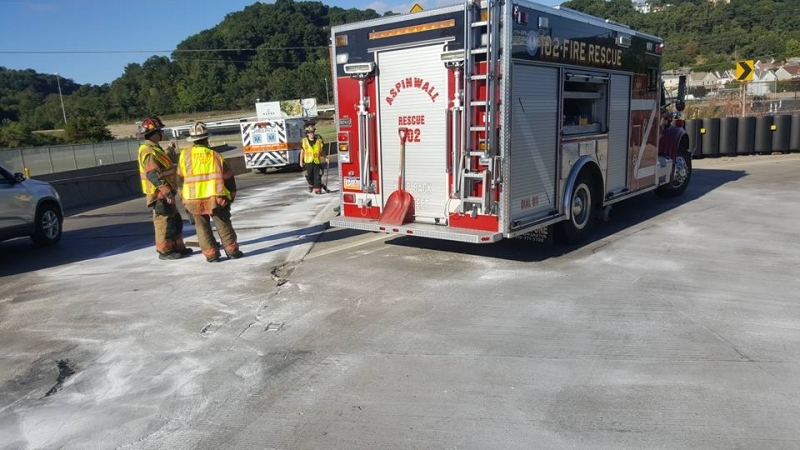 There appears to be a large oil spill from the top of the Aspinwall Ramp on down toward Freeport Road. 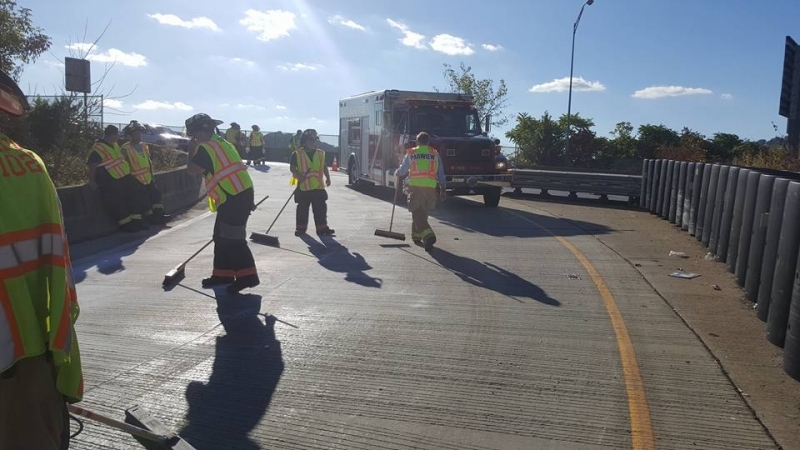 102 Engine and Rescue controlled traffic and began spreading oil dry in an effort to soak up the spilled oil. Engines from 217 and 218 arrived and their crews assisted with the containment. Emulifier was used in conjunction with oil dry to soak up the material. 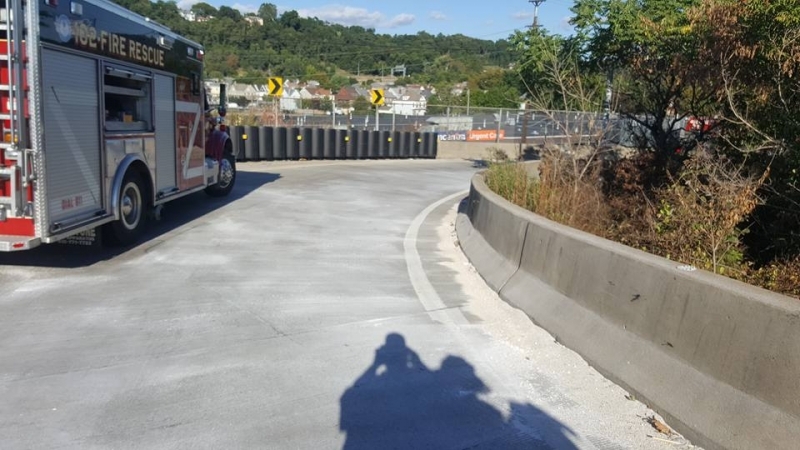 The material was moved to the side of the road and the ramp was opened for use at 17:00 when all units went back into service.